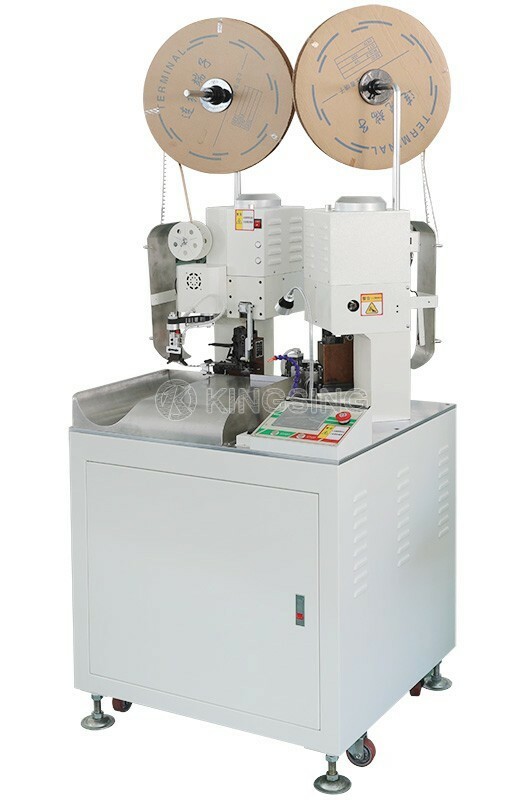 Consistenthigh productivity and flexibility with maximum precision are the requirementsfully automated Wire Crimping Machine has to meet, both today and in thefuture. 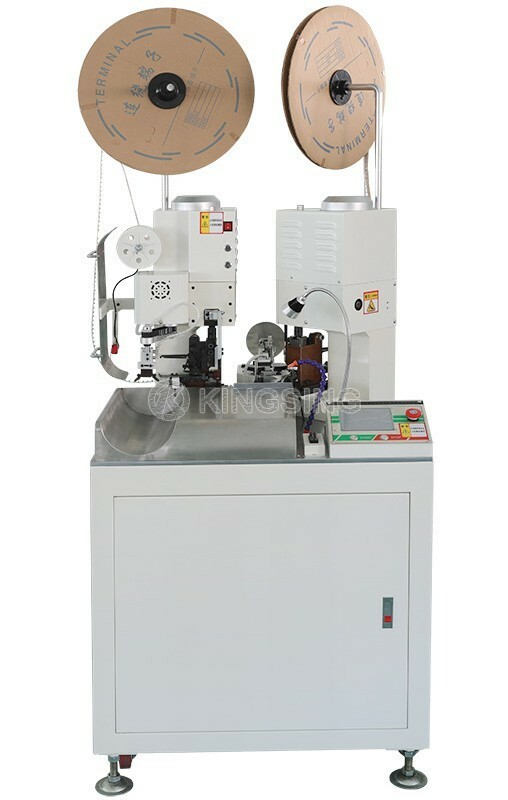 KS-T30 Series – the latest fully automatic wire processing machine – meetsthese requirements across the entire spectrum with revo­lutionary technology.Fast speed, powerful cutting and crimping force, stable wire feeding, highprecision crimping effect, flexible die set changing are the main features ofthis machine. 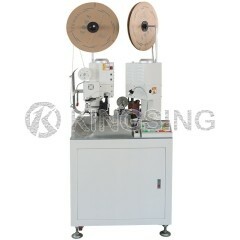 All the wearing parts are made of superior material and of longservice time. 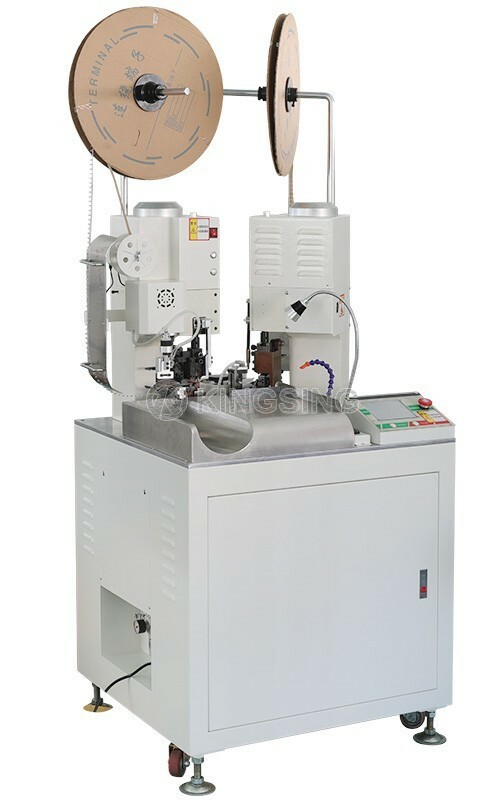 Both side-feeding die and straight-feeding die are available forprocessing, and the changeover between different die sets are easy andtimesaving. We provide customize service for customers with other brand of diesuch as JST, AMP, MOLEX, etc. 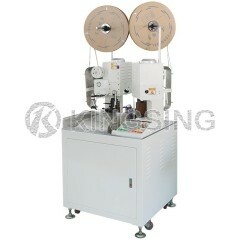 Moreover, its affordable price is also veryattractive, most of customers consider it an investment to their factory. 2. 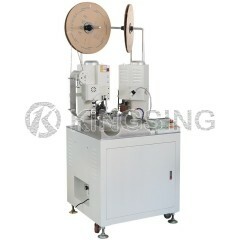 Install a wire conveyor belt for processing long wire (such as 2 meters long wire processing). 3. Add a pressure monitor system to monitor each terminal's crimping force. 4. Other function the customers require to implement.